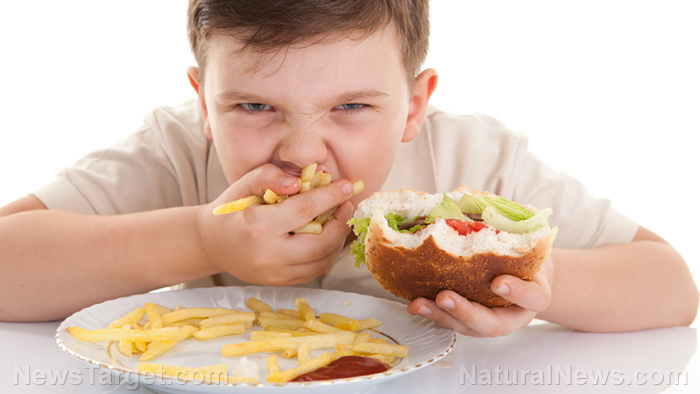 (Natural News) A recent study revealed that 90 percent of children in the United States go for days without eating greens, getting by with just french fries as their only “vegetable”. The study, published in Pediatrics, found that children, particularly those between zero to 23 months of age, not only lack in vegetables, but are also consuming too much sweetened beverages. Another troubling result also showed that children of this age group are not consuming enough breast milk. Analyzing data gathered between 2005 to 2012 from 2,359 participants, researchers saw a decrease in vegetable consumption in the latter years, with only 7.5 percent of older toddlers getting their daily share of dark green vegetables. “The sources of vegetable consumption among young children may be suboptimal: a one-year-old was more likely to consume fried white potatoes than dark-green vegetables on an average day. This warrants attention because fried white potatoes are among the top sources of saturated fat in the American diet,” authors of the study observed. At the same time, 50 percent of young toddlers were found to consume sweetened beverages every day, raising concerns among researchers who noted that early consumption of these drinks is associated with increased risk for obesity later on. The study’s findings also showed a decline in the prevalence of breast milk consumption among infants zero to five month’s old, from 39.9 percent in the earlier years covered by the study (2005 to 2008), to 35.7 in the latter years. The prevalence was even lower among older toddlers. The study underlined the importance of developing healthy eating habits from a young age, stressing that early eating habits have a huge impact on adult health. These findings are even more worrying when one takes into account the scourge of childhood obesity, which continues to run rampant even as dietary restrictions and health interventions have been put into place in schools across the country. According to the Centers for Disease Control and Prevention (CDC), one in five kids between the ages of six to 19 has obesity — a rate that has tripled since the 1970s. Genetics, metabolism, diet, and physical activity all contribute to childhood obesity, though environment and psychology also have an impact. Childhood obesity is seen to adversely impact the kids who suffer from it. Apart from being bullied by peers and experiencing social isolation, children with obesity are also more at risk for chronic health conditions including asthma, bone and joint problems, and type-2 diabetes. Developing healthy eating habits from a young age is one of the most effective ways of preventing childhood obesity. Heart.org shared a few key tips to help keep your child at a healthy weight. These include several dietary interventions, such as incorporating lots of fruits, vegetables, and whole grain into their meals, choosing lean meats and beans for protein, introducing healthy snacks, and avoiding sugary treats. At the same time, encouraging physical activity and reducing sedentary time help in obesity prevention. These measures, combined with an early introduction to healthy eating habits, may be the best things you can do for your child’s health. Learn more about food to keep you and your children healthy on Fresh.news.